Do you own a valve guitar amplifier and wondered what ‘cathode bias’ means? Have you heard of ‘biasing’ but perhaps are a little confused about what bias means and in particular what cathode bias means? Don’t worry – you’re not alone! Biasing is a highly confusing subject for the owners of valve guitar amplifiers. The two sorts of bias are cathode bias and fixed bias. Both of those terms are highly confusing, but we’re stuck with them. This article aims to address this very confusing topic. Let’s begin. You’re going to like this first revelation. ‘Fixed Bias’ actually means ‘Adjustable Bias’! Work that one out! So a ‘fixed bias amplifier’ is one on which you can adjust the bias to get the ‘tickover’ current (also called the bias current) through the output valves to be the right level (usually around 30-50mA). It’s called ‘fixed bias’ because once you have adjusted it then it stays the same (i.e. ‘fixed’) until adjusted again. You’ll probably agree that ‘fixed bias’ is not the clearest term, but we’re stuck with it. Key Point: if you have a ‘fixed bias amp’ you can adjust the bias voltage (usually with a pot, or swapping out a fixed resistor). You can bias a fixed bias amp or get a tech to do it for you. In fixed bias amps, when the output tubes are changed (always for a matched set of course), you readjust the bias until it is correct. (The correct bias current depends on the plate voltage and valve type. As I mentioned earlier it’s typically around 30-50mA). In a cathode biased amp, the bias voltage varies up and down (that’s the ‘variable’ bit) automatically to keep the bias correct. It’s kind of like a thermostat. Too much bias current and it’s turned down automatically. Too little bias current and it’s turned up automatically. In contrast, in fixed bias amplifiers, once set, the bias current does NOT move up and adown automatically. It stays FIXED at whatever you set it at. And that’s where the ‘fixed’ bit of ‘fixed bias’ comes in. 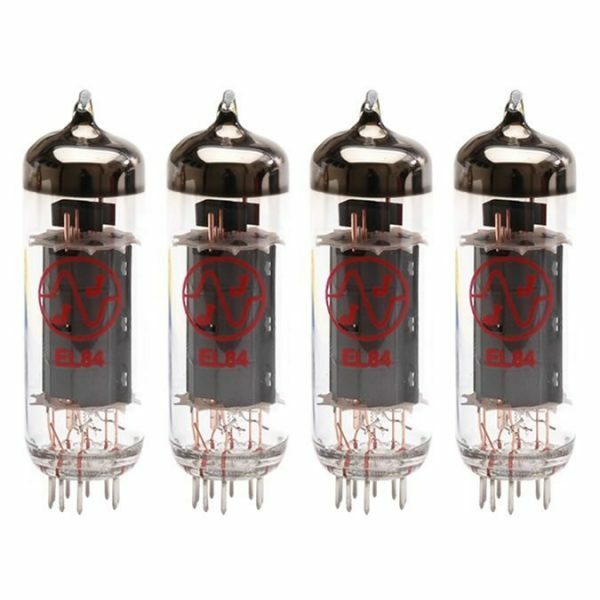 You may be interested to know that all preamp valves are cathode biased which is why you never have to bias them. If your amplifier features cathode biased output tubes also, then you don’t need to bias that amp – ever. In fact you can’t, there’s no way to do it. Some amps (e.g. Vox AC15) have cathode biased output tubes (EL84) and unlike fixed bias amps, these amps don’t need biasing. In fact they can’t be biased as I just mentioned. 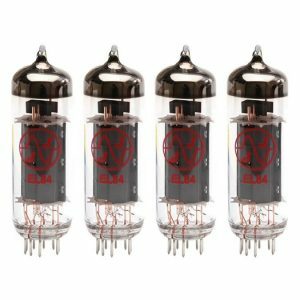 Which Amps Are Cathode Biased? For reasons I won’t bore you with, it’s only low power amps which have cathode biased output tubes. These are almost always EL84. Anything over 30W is highly likely to be fixed bias (i.e. 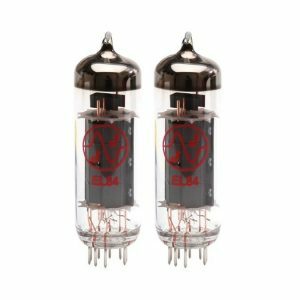 you need to adjust the bias when putting in new tubes). 90% of guitar amplifiers are fixed bias. Fixed bias on the output tubes means they are capable of being adjusted to raise or lower the bias current. This is usually done with a pot, or swapping out a fixed resistor. I have done other blogs on biasing so I won’t go into the details here. Fixed bias = capable of adjustment (!) but it stays the same (fixed) once adjusted (until next adjusted of course). Cathode bias means non adjustable and it varies up and down automatically with conditions (so it’s ‘not fixed’). Neither you nor a tech can adjust the bias on these amps. They don’t need biasing when changing tubes as they automatically ‘settle’ to the correct bias current. ← Microphony in Valves – What Causes it? You forgot Boogies that are fixed bias but non adjustable. Bias in Boogies can be adjusted by changing the bias resistors or by fitting a pot to convert it to adjustable fixed bias. They just make it difficult for you, so they can scam you with their overpriced valves.